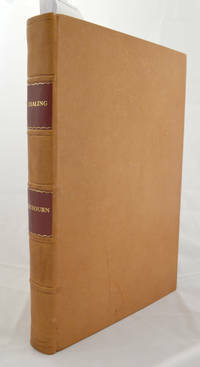 London : Baldwin and Cradock, 1831 A collection of papers from the Library of Useful Knowledge bound in one volume. DeMorgan is best known for DeMorgan's Theorem (!A AND !B) == ! (A OR B), which forms the basis of the modern technique used to miniaturise complex digital circuits, and thus delivers the extremely high density computing power of the today's microprocessor. His work on probabilities is a land mark piece of mathematical theory that formed the basis of the actuarial calculations of life insurance policy risks. 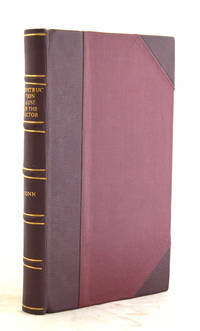 This is the rare first edition of this work, which appeared in the Library of Useful Knowledge. These were a series of learned papers prepared by the leading scientists and academics of the day, each being either 64 or 32 pages long – and sold at low cost to provide a source for knowledge “for the working man”. 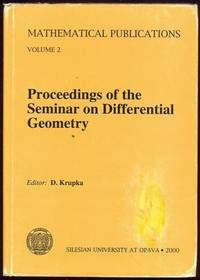 They were published by Society for the Diffusion of Useful Knowledge (SDUK). The series was purchased by Longman Green, and re-issued under various titles; often after additions were made by the original authors. 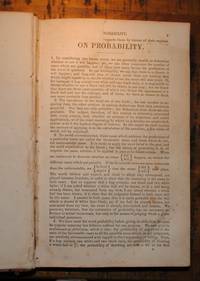 Thus the better known work by De Morgan “An Essay on Probabilities, and on their application to Life Contingencies and Insurance Offices” published in 1838 is not the true 'First Edition' but an extended re-issue of this work. The other pamphlets in this collection were also reprinted by Longman Green in extended form, including the second pamphlet by De Morgan “On the Study and Difficulties of Mathematics“ which formed the basis of his later mathematical works on algebra and geometry This books contains the following: 'On Probability' by Augustus de Morgan - 1st edition, 64 pages but lacking title page and a piece of the first page which has been torn at the top with slight loss of text to the top of page 2 of the paper; 'On the Study and Difficulties of Mathematics' by Augustus de Morgan, 1831, 1st publication, complete - 93 pages plus index and preface written by de Morgan in November 1831; 'Electricity' by Peter Mark Roget, written in 1827 for the Society for the Diffusion of Useful Knowledge (Great Britain), 64 pages; On the Double Refraction and Polarisation of Light' by Sir David Brewster - Society for the Diffusion of Useful Knowledge (Great Britain) 1829, 64 pages; 'Mathematical Geography and Physical Geography' probably by John Lee Costock 64 pages; 'Animal Physiology' probably by S Smith - 1830 printed in 2 parts 128 pages, complete; 'Vegetable Physiology', S Smith, 32 pages but looks incomplete. 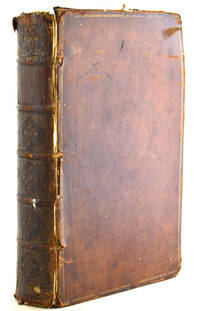 The binding, half leather with marbled boards, is sound but worn and rubbed at the corners, on the hinges and at the top and bottom of the spine. The spine is rubbed and has a leather label with 'Probability & c' - suggesting that this group of papers was collated and bound for a particular reader. The contents, which include numerous diagrams and illustrations in the text, are in good order (apart from the damage to page 1 mentionned above). One of the preliminaries is detached and the endpapers are grubby and marked. The paper is lightly browned.